The bestselling, All-of-a-Kind Family series of chapter books for young readers aged 8-12 are here in Kindle format. All five Kindle books in the series are rated 4/5 stars or higher and all are currently priced at $5.98 each. 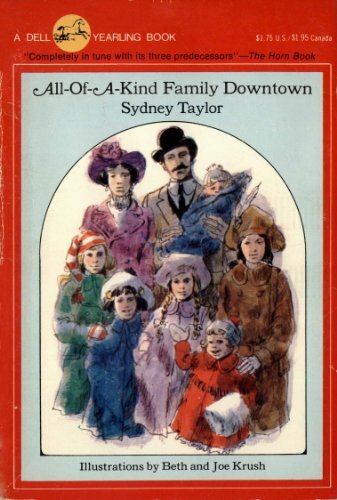 Meet the All-of-a-Kind Family — Ella, Henny, Sarah, Charlotte, and Gertie — who live with their parents in New York City at the turn of the century. Together they share adventures that find them searching for hidden buttons while dusting Mama’s front parlor and visiting with the peddlers in Papa’s shop on rainy days. The girls enjoy doing everything together, especially when it involves holidays and surprises. But no one could have prepared them for the biggest surprise of all! 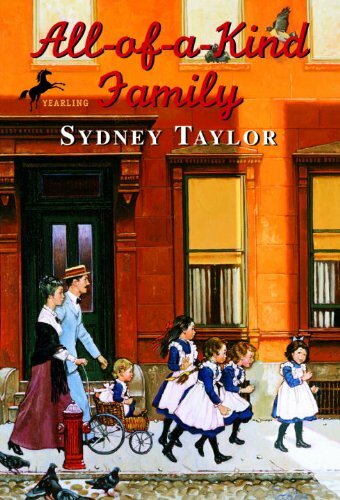 Fans of Laura Ingalls Wilder’s Little House books will enjoy a citified version as Sydney Taylor gives a charming glimpse at a time when daily life was very different, but family and faith were surprisingly the same. Ella, Henny, Sarah, Charlotte, and Gertie are back! Life is never dull for the loving, Jewish, all-of-a-kind family on New York’s Lower East Side in the early 1900s. Stand-alone chapters make this a perfect read-aloud, as the story follows the five sisters who are very busy, especially now that baby Charlie is growing so quickly. Ella gets a big role in the Purim play, Henny gets into trouble at school and runs away, Sarah gets her ears pierced, Charlotte has a scary kitchen accident, and Gertie finally is old enough to have a book of her own. And the girls befriend a young boy named Guido whose mother is very ill. Generations of readers have loved following the exploits of these very recognizable girls. 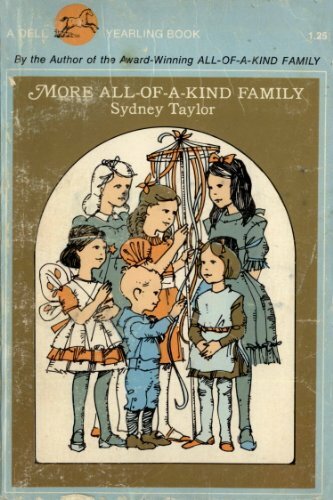 This title, although written later, picks up right where the first, All-of-a-Kind Family, ended. 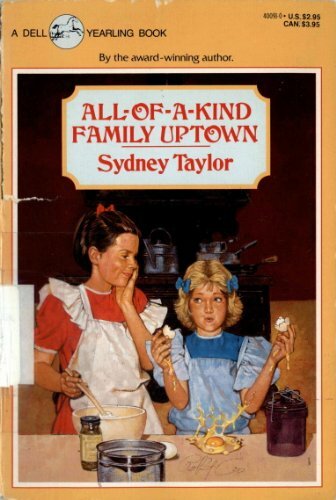 In the third book of Sydney Taylor’s classic children’s series, Ella finds a boyfriend and Henny disagrees with Papa over her curfew. Thus continues the tale of a Jewish family of five sisters-Ella, Henny, Sarah, Charlotte and Gertie-living at the turn of the century in New York’s Lower East Side. Entertaining and educational, this book brings to life the joys and fears of that time and place. After moving uptown to the Bronx, the charming All-of-a-Kind Family have a new home, new neighbors and new friends. There’s always something exciting going on. Ella misses Jules who has joined the Army, Henny spills tea on a dress she borrowed without asking, Sarah works to win a prize at school, Charlotte takes the elevated train without paying her fare, Gertie makes a pancake, and Charlie is terrified when he meets Santa Claus! And things are are especially busy as Mother has gone into the hospital, and everyone must help out to make the house run smoothly. Generations of readers have loved growing up with the five Jewish girls whose trials and triumphs are as recognizable today as they were a hundred years ago. This fourth title of the series follows the girls as they grow into much more independent young women, and younger brother Charlie keeps everyone on their toes. 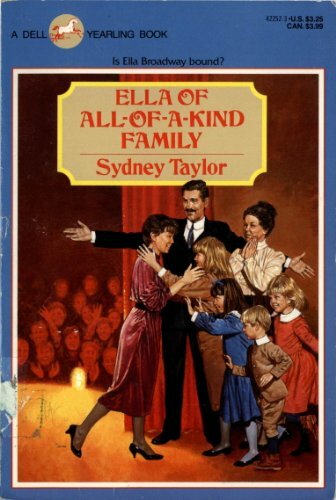 World War I has ended, and Ella, the oldest of the five sisters, who dreams of singing and dancing in the theater, is discovered by a Broadway talent scout. It seems that she will have her chance at a theatrical career after all, starting in vaudeville. But her thoughts are also on Jules, just returned from the War, and marriage. Once again a loving family provides the support needed to make the right decision.